Reverse mortgages are a great retirement income tool. With the right approach, reverse mortgages let you turn your home equity into tax-free cash which you can use for a comfortable future. To find out more about the CHIP Reverse Mortgage, check here for answers. You can use the CHIP Reverse Mortgage to pay off your existing mortgage and free up cash flow for the things that matter to you. Click to know more about Debt Consolidation. What makes the CHIP Reverse Mortgage different from a Home Equity Line of Credit? HELOCs are a good short-term borrowing option for people who can pay the interest and loan in the near future. However, HELOCs are callable loans and there exists significant risk of non-renewal or cancellation. Click to learn more. Will I ever owe more than my house is worth? You keep all the equity remaining in your home. In our many years of experience, over 99% of homeowners have money left over when their loan is repaid. The equity remaining depends on the amount borrowed, the value of the home, and the amount of time that’s passed since the reverse mortgage was taken out. Click to learn more. There are one-time fees to arrange a reverse mortgage. Apprasial fees, a fee for independent legal advice, as well as our fee for administration, title insurance, and registration. Many of these fees are common with a conventional mortgage. With the exception of the appraisal fee, all fees are paid for with the funding dollars. Click to learn more. Should I consider this a loan of last resort? No. 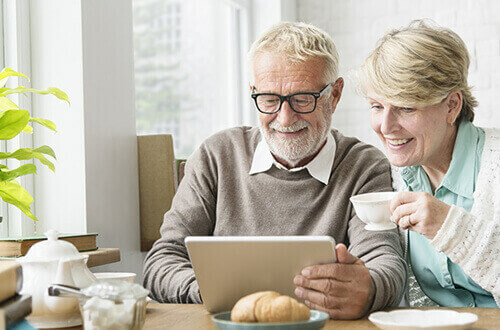 Many financial professionals recommend a reverse mortgage to homeowners 55 and over who prefer to stay in their own home, want to eliminate their monthly mortgage payments, and supplement their monthly income with tax-free funds. Click to learn more.